Sports groups and organisations in and around Bury St Edmunds are being urged to snap up the remaining opportunities to be part of this summer’s Festival of Sport in the town. This year the nine day event will launch on Saturday July 9 with physical activities and challenges in Charter Square. The weekend also sees the finals at Wimbledon, the Euro 2016 Football Final in Paris as well the British Grand Prix at Silverstone. Locally, the women-only cycle challenge at Nowton Park, Women on Wheels takes place on Sunday. For the rest of the following week it’s an opportunity for grass roots clubs in the town to hold special events or taster sessions to encourage new members. 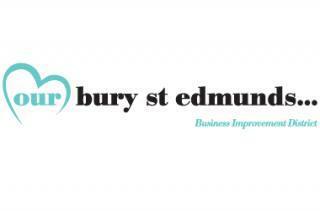 The Festival of Sport partnership includes the Business Improvement District (BID) organisation Ourburystedmunds, along with Abbeycroft Leisure and St Edmundsbury Borough and Suffolk County Councils. The group is chaired by Ourburystedmunds Chief Executive Mark Cordell who said: “The Festival of Sport was a great success last year offering a range of activities – and it helped Bury St Edmunds win the title of Suffolk’s Most Active Town. I was delighted that so many of the town’s sports clubs and teams supported the event and hopefully raised their own profile as well. We’re very pleased that a number are now making preparations to be involved this year too. Among the confirmed activities so far in the festival are a 5km run organised by Positive Steps on Tuesday 12 July and the Street Velodrome, which will be in Charter Square from July 15-17. It will offer members of the public a chance to have a go for free on the Saturday and will host a televised regional competition for professional cyclists on the Sunday. Also available at the Apex will be baby ballet, Mums Fit HIIT, Tai Chi and Yoga. Sports clubs and groups who want to register their interest in the Festival of Sport should email mark.cordell@ourburystedmunds.com.